A Worthing vet who called for the investigation into the Croydon Cat Killer to be reopened has said the mutilated animals suffered ‘surgical wounds’. Grove Lodge veterinary surgery published a Facebook post on Wednesday (September 26) questioning the London Metropolitan Police’s theory that cars and foxes were responsible for the deaths. 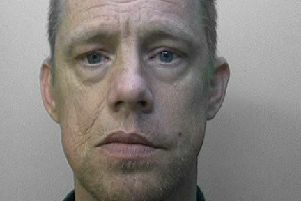 The surgery’s clinical director, Nicola Bromley, said the surgery had dealt with ten to 15 similar cases since a potential serial killer came to light in 2015. “I have been qualified for 20 years and I’ve seen plenty of animals with injuries from other animals,” she said. “These are just too clean – they are not animal related. London Metropolitan Police began investigating The Croydon Cat Killer, or M25 Animal Killer as it is sometimes referred to, in November 2015 after cats were found decapitated and with legs and tails missing. Often some limbs would be removed from the scene and deposited elsewhere. Initially focused on Croydon and the surrounding area, the investigation spread to include Sussex and took in hundreds of cases. Animal rescue charity South Norwood Animal Rescue and Liberty (SNARL) worked alongside the Met Police and said it believed around 40 animals had fallen victim to the killer in Sussex. SNARL shares Grove Lodge’s view that the killings are the work of a human, rather than animal, killer. The charity’s co-founder, Tony Jenkins, called on local police forces, including Sussex Police, to open their own investigations.